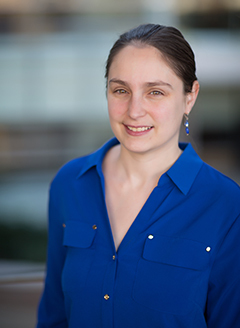 Natalie Grover, MD, is an assistant professor in the Division of Hematology/Oncology. Dr. Grover completed her internal medicine residency at the University of Virginia in Charlottesville, Virginia. She obtained her medical degree from Case Western Reserve University and her bachelor’s degree from the Massachusetts Institute of Technology where she majored in biology and minored in brain and cognitive science and French. Her primary clinical interest is management of lymphoma. Her research interests include novel treatment strategies in lymphoma, particularly immunotherapy, and she is currently involved in the clinical trials of chimeric antigen receptor T-cell (CAR-T) therapy for patients with lymphoma. Outside of the hospital, she enjoys reading, traveling, going to the theater, trying new restaurants, and spending time with her family.